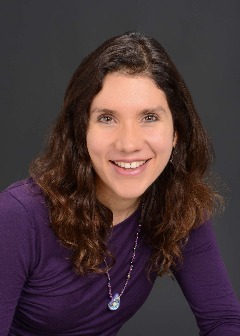 I’m a personal development author, speaker, coach, and radio show host from Connecticut, and I’m passionate about helping others. I realized that many of us don’t live fulfilling lives because of self-imposed limitations, so I’ve made it my mission to remind everyone that he or she is magnificent. I also own a tutoring/test prep business, and work with high school and college students. I have an undergraduate degree in industrial engineering and an MBA in marketing. I got to where I am today by learning from my own experiences and the experiences of those around me. Also, by connecting with amazing people. I help others be their best by reminding each person that they are magnificent creations worthy of a magnificent life. I help myself be the best I can be by giving. I learned that when I get out of my own problems and help others, I become the best version of myself. I’m an artist, and prefer poison dart frogs as the subjects of my paintings. Beauty and nature inspires me. 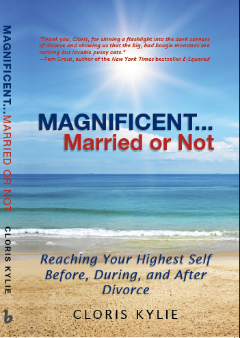 My book, Magnificent…Married or Not: Reaching Your Highest Self Before, During and After Divorce, to be published this spring! Art, teaching, writing, being in nature. I would buy everything my mom needs, donate a big chunk to foodshare and water.org, and move somewhere warmer than Connecticut. I hope to bring my message of hope and joy to thousands of people through new books, online courses, podcasts, and live seminars. Anything related to my passions. I love getting out in nature. Hiking and cycling are my favorite activities. My radio show, “Magnificent Time” features renowned authors, coaches, and other people who have an inspiring story to share. Did I mention my book, Magnificent…Married or Not? I’m very excited about it! Water.org helps people have access to safe water. We take so much for granted here in the US, and so many people around the world live in really harsh conditions. Everyone should have easy access to safe water to drink. The Power of Intention and Inspiration by Wayne Dyer. Three Magic Words by Uell S. Andersen. Cloris Kylie, MBA, is a personal development author, motivational speaker, coach, and radio show host dedicated to helping others realize their magnificence. She is a sought-after lecturer who has achieved the highest Toastmasters designations in communication and leadership. Visit ClorisKylie.com for more information.